Last night I was doing a little online window shopping when I stopped by Free People's website. I love the items that Free People is currently offering. 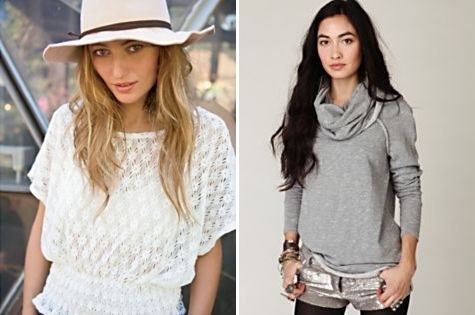 Free People dominates the Boho Chic look with clothing and accessories that are fun and a little quirky. Most of the pieces are an affordable version of what Serena Van der Woodsen would wear. They provide a laid back, always effortless look and are often inspired by vintage designs. 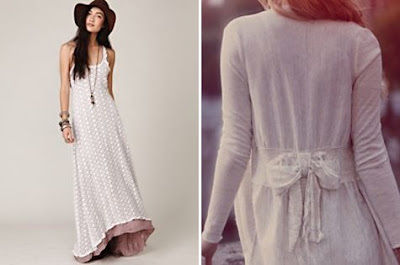 The collection currently on Free People is a gorgeous feminine blend of florals, crochet and sheer designs. Dusty pink sheer lace in numerous layers. An oversized diamond crochet top with a stretchy waistband. A crochet maxi dress featuring a floral design and racerback. A soft, slouchy cardigan with an adorable frayed bow. 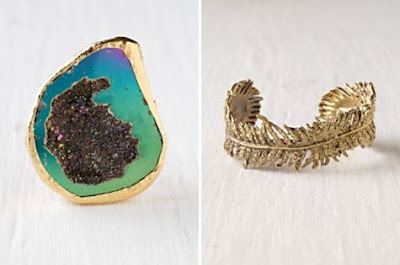 All of the jewelry offered by Free People is beautiful but the higher end items of boutique jewelry have really caught my eye. A multi-color stone with a deep crater in the center. A beautiful brass cuff that would be perfect for Spring. Lastly, before I go today I would like to mention a wonderful fashion site that was recently brought to our attention. Uptown Twirl was created by Cara to discuss and celebrate fashion and she definitely knows what she is talking about. Also, she currently having a best blogger contest so consider nominating your favorite blog for some great prizes, including a donation for charity. You can check it out by clicking here. I love that maxi dress. Oh i love Free People and sometimes i great a great deal at Nordstroms Rack. great choises! the white cotton dress is my favorite!!! 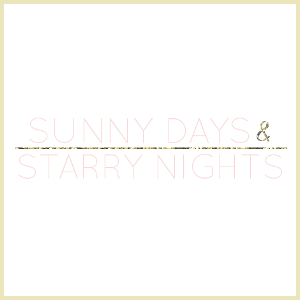 your blog is soo cute i loove it!!! I am loving the dresses you choose! :D Definitely something I would wear myself. :) Gorgeous.